Though IOS is a fantastic piece of programming and absolutely stable and safe, millions of iPhone and iPad users perform their IOS updates in order to keep up with the latest safety updates and improved features. Sometimes however things do not work out the way they should and you are faced with an unusable piece of expensive hardware. Problems may also occur do to incompatibility or bad use of the IOS root settings. In most cases, a visit to your local iCentre was the final solution to solve your problems. Expensive and you need to wait some time for repair. 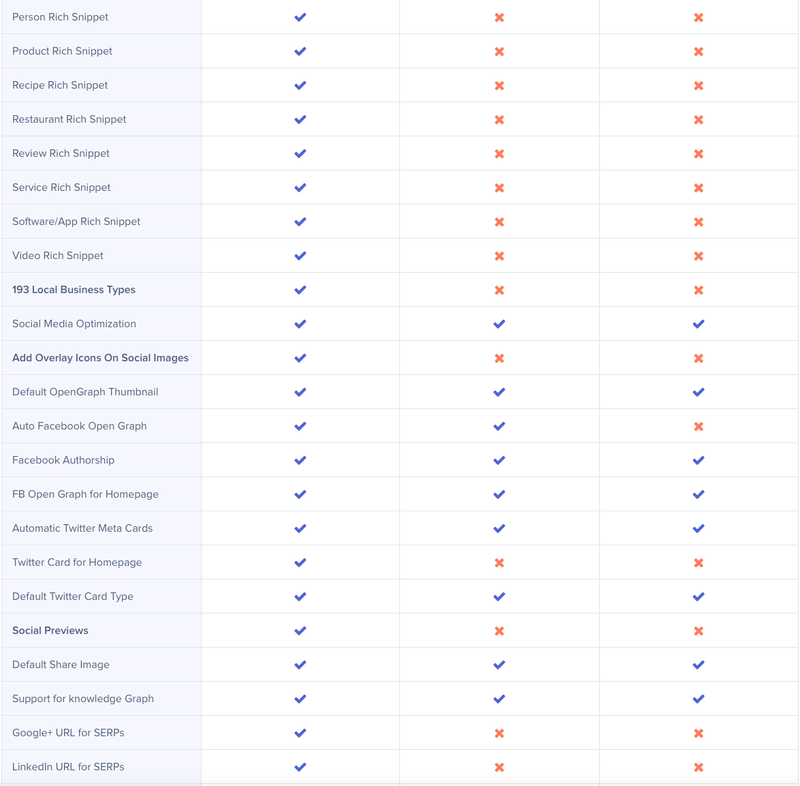 ‘ Eureka’, iMyFone developed a great application to tackle almost any software based IOS problem ( see problems faced below ). 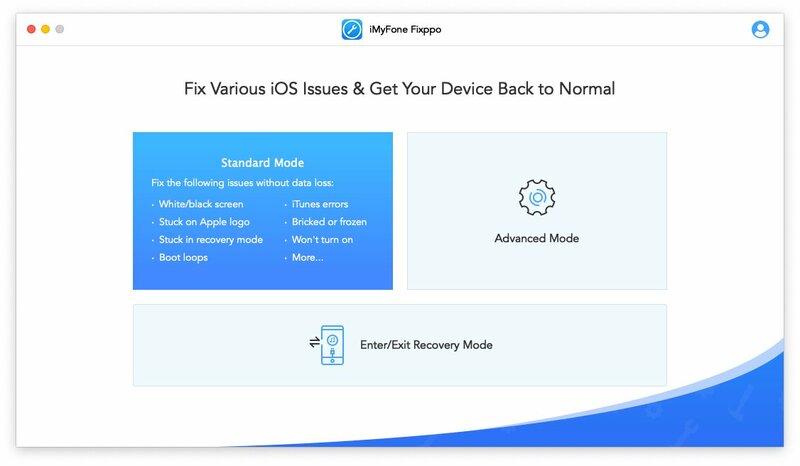 All iOS problems are covered by Fixppo, which makes it easy to fix your device without turning to a technical specialist. Descriptions makes it easy for you which option to choose and decide wether you wish to keep all your data or choose the more drastic solution and loose stored data but repairs your IOS. 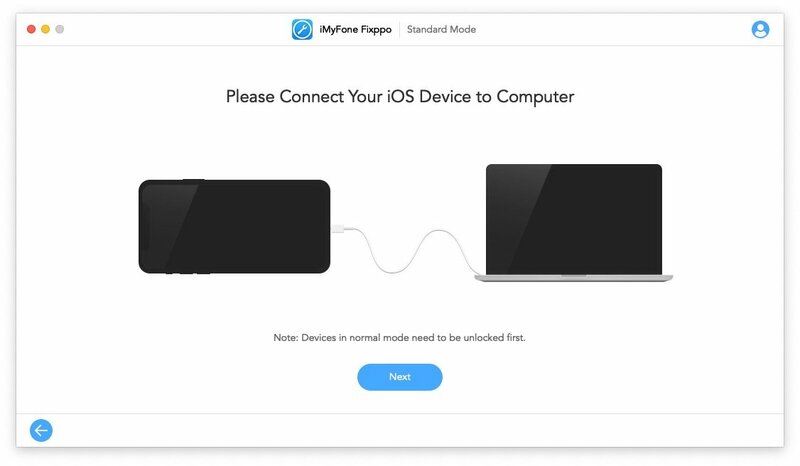 Connect your IOS phone or tablet and unlock it. iMyFone will disable iTunes during its use as it would interfere with the recovery method. Now always start with the Standard Mode in order to save all your data stored. If this method fails you may proceed to the Advanced Mode which will erase ALL DATA stored ! Loosing your data is a bad thing, which once again proofs need of regular backups of your iPhone or iPads. 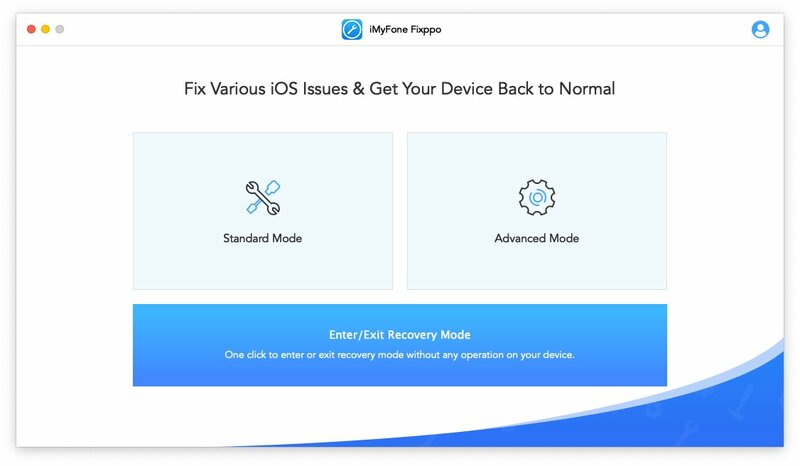 iTunes backups, can be restored when the IOS based iPhone or iPad is working again after repair by iMyFone Fixppo. You will not have any difficulty restoring the iTunes proces which is part of your IOS system on Mac. The application will perform a full firmware download once it reads your devices firmware version. This download is taking some time, all according to your internet speed available. As you can read on the Start to Fix iOS image, the firmware version downloaded is the available official release, in my case I run the latest Beta firmware which may cause a problem which makes logic. Running Beta versions is always at your own risk. Still you may now hit the Start Repair button and you’re done. 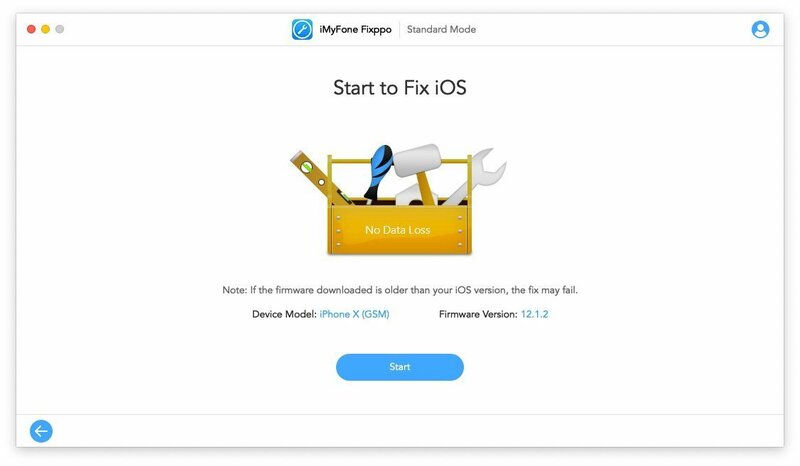 Now it may take some time for Fixppo to repair your iOS. The great thing of this application is the full list of known iOS problems you may encounter. It really tackles all know problems as far as I can make up. And repair is made at a considerable better pricing than the iCentre !! 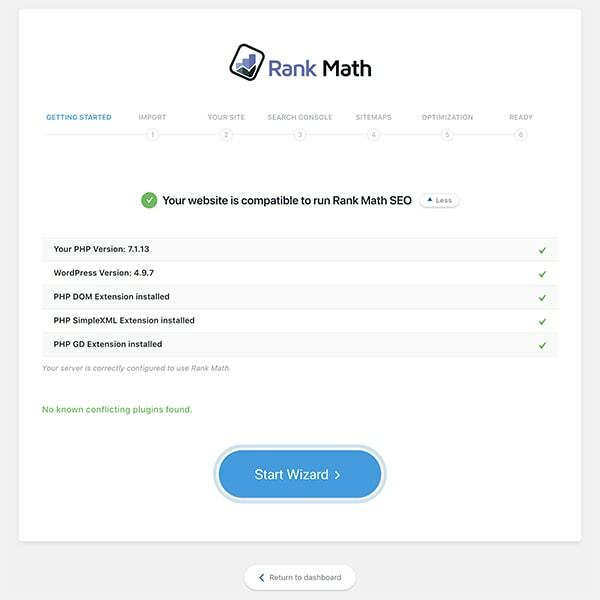 After you click Standard Mode, you will see the screen below. Then connect your device to your computer and click the Next button. Note：If your device is in normal mode and running iOS 12 or later, the program may not recognize it when it is locked. Unlock your device before clicking the Next button. 1. if your device can be detected, the program will proceed to the next step. 2. IF NOT, you will be asked to put your device in DFU or Recovery Mode. You can see a very clear guide on the screen. Follow the instructions. 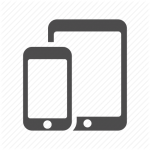 The program will proceed to the next step when your device is in DFU or Recovery Mode. 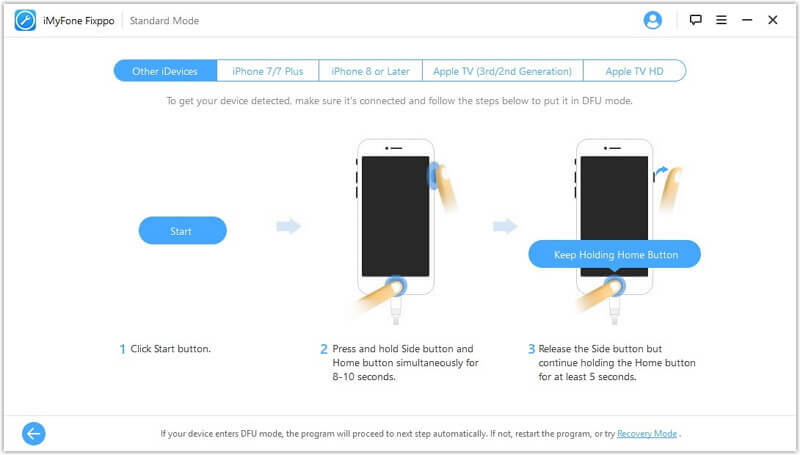 Here is how to put your device into DFU mode. 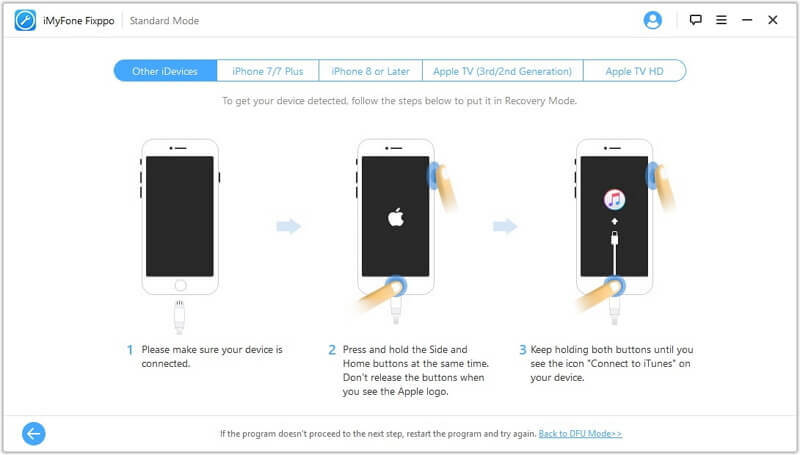 Here is how to put your device into Recovery mode. 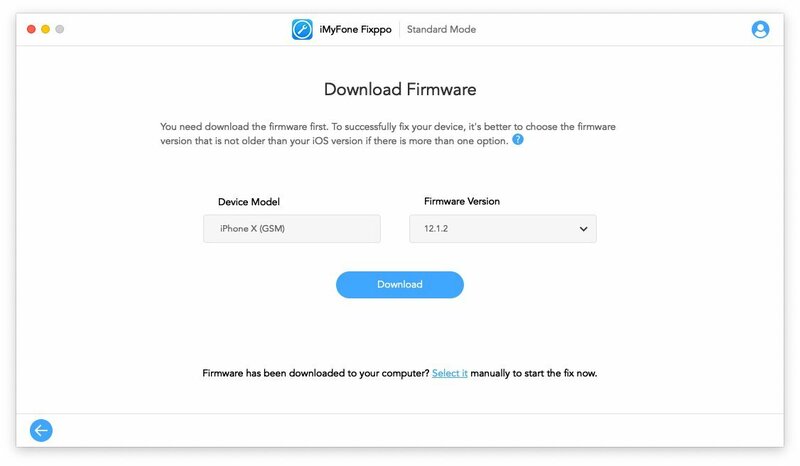 Now you need to download the firmware to fix your device. The program will automatically detect the model of your device and show you all the available versions of firmware. Choose the version you prefer. Then click Download. Note: If you want to downgrade your iOS, check if there is an older version provided by the program. If there is, you can choose that version to proceed. Otherwise, you will not be able to downgrade your iOS. is a true one of a kind repair feature as you normally can’t just downgrade your iOS system easily. It is possible but at considerable more effort and knowledge of your Mac’s system and third party tools. So well done iMyFone developers for including this feature. One click to enter or exit recovery mode without any operation on your device. Your data will not be affected. 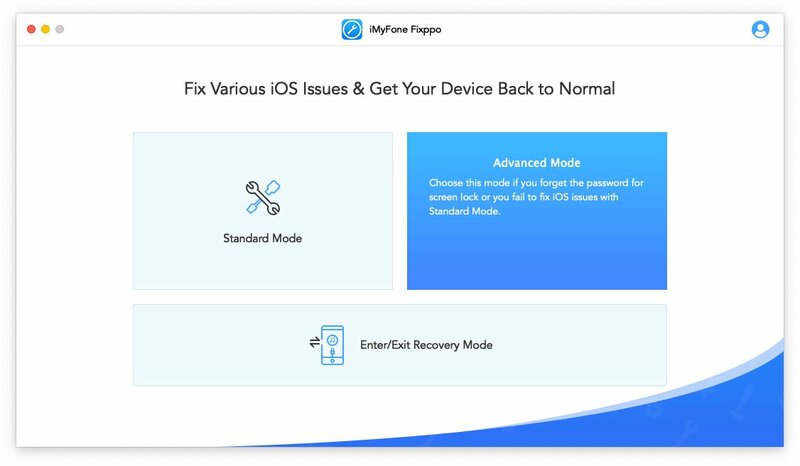 iMyFone FIXppo is a truly simple to use iOS system repair application saving you lost of money in case of software problems which can not be tackled in another easy way by a user. 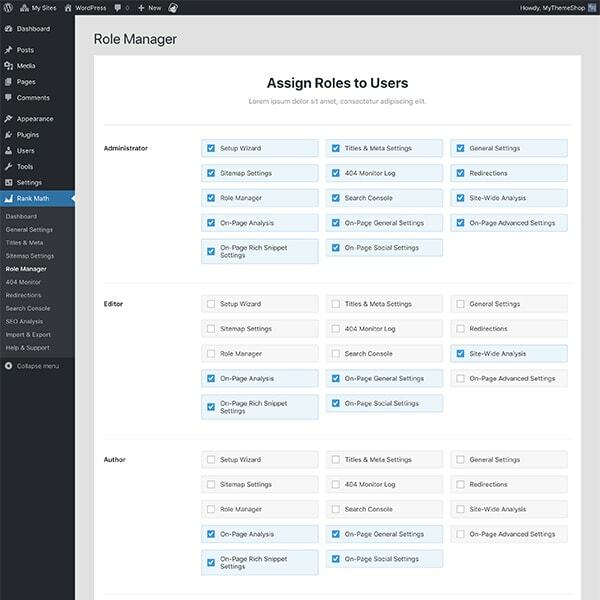 Its minimalistic interface makes it easy to follow steps needed in the proces. It’s safe to use and offers some extra features like downgrading your iOS system and Exit of the Recovery Mode. Is it worth the money ? I think that its price will be much lower than your technicians bill. So are you in trouble with your iOS on iPhone or iPad, get this great application to do the repair. A 20-person team based in Mainz, Germany, is passionate about developing software for Mac, iPhone, and iPad to offer our customers the best apps out there. They started developing for Mac OS 8 in 1998 and have been creating Mac software ever since. 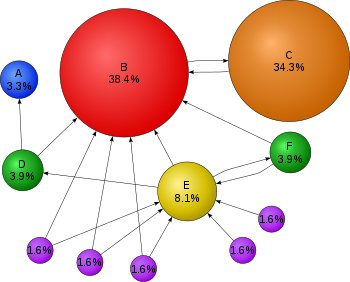 In 2005 the company was named “Synium Software GmbH “. Their first product, genealogy software MacFamilyTree, was followed by numerous other apps. They refrain from ported Windows applications and cross-platform development because they firmly believe that software will only feel great to use if it has been developed for a specific platform, and is therefore able to take advantage of the latest technologies. Design your logos or create an impressive image in a simple way with vector graphics in Logoist 3. To make things simple Logoist 3 provides a wide range of templates for beginners and offers powerful tools for professionals to create beautiful designs. Logoist 3 is all about graphic skills and creations for beginners and professionals. Create images to make your website stand out or design a beautiful company logo, its all possible with this great feature rich design tool. Logoist 3 has a beautiful interface and all features are easily found. Tons of clipart is available, though they all are in black. However any clipart image can be changed to any color needed to match your creation. The Style panel provides all tools to refine them by adding color, color gradients, effects or ornaments and embellishments such as fire, snow, grass, jags, cracks, and many more. One new feature is the 1-2-3 logo creation which creates a nice togo in three easy steps. 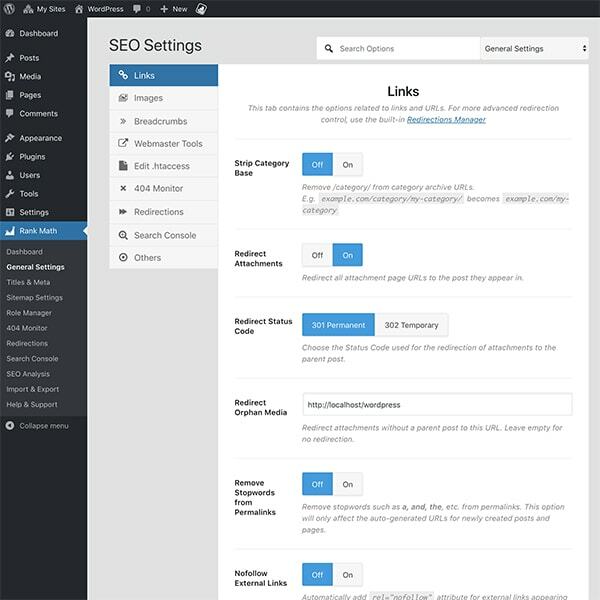 After entering the name and sub-title a full list is created with automatically created designs. The other presets presented in the interface are Card, Photo, Business Card and the Showcase. The templates available are a bit limited really. Of course any of these presets can be adapted to your wishes, still I wish the listing was longer. With Logoist it takes just a few easy clicks to add soft snowfall, grass, tree branches, flames or other elements to your design. Refine your art with jags, cracks, tears, rubber stamp effects and many more – it’s never been easier to create high-quality images in a matter of seconds. Just check the image below, and see the great created image. Working with Logoist 3 is about moving objects around, not real creative vector drawing. Vector points editing is not possible. Export options for your work is versatile as it provides EPS, PDF, or SVG formats and others. 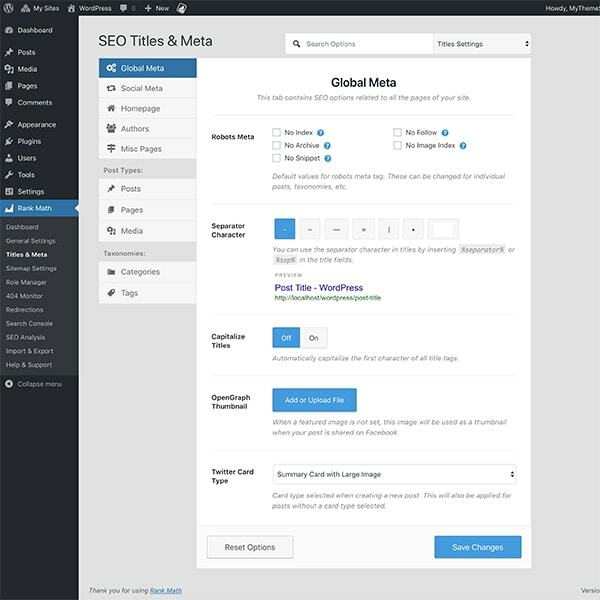 New opened files or images are set basic to 500×500 pixels, the Canvas button at the bottom of the interface gives you opportunity to change and set a wanted size. Export setting is set to a density at 72dpi –though this will keep the created images file size small, it is insufficient for printing. You can set the pixel density to any value for export however for export. 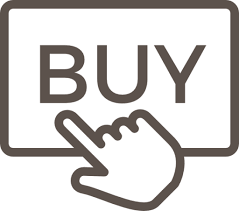 If you are looking for an easy to use logo creation tool, Logoist is your number one pick. 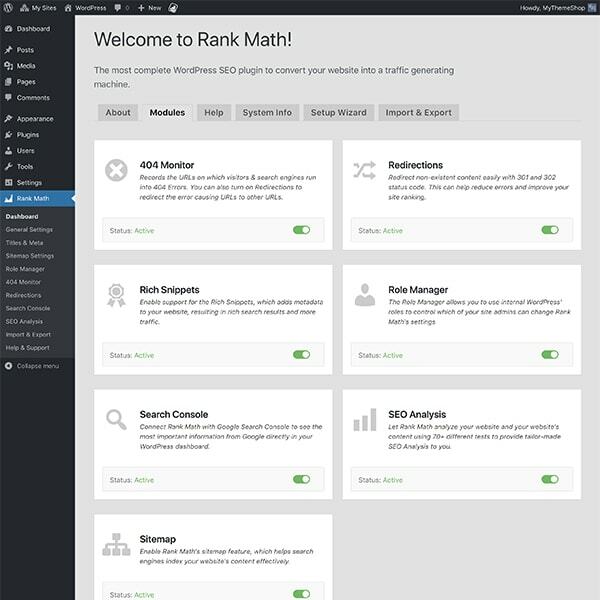 Its versatile and offers a great interface and styles ready to be adjusted to your liking. No real skills needed, just click, add and adjust to finish your image for export. I like playing with Logoist as it sets no borders to your creative input apart from not being a draw tool which is better for most users really. If there is a minor point to mention it is the minimal number of presets available. You can use the basic idea of the preset and start from there for your personal touch. Its snappy, and stable as does it support macOS Mojave right now in version 3. Have a go at the tryout version before you make up your mind, I like it! The company was established by a group of MIPT students in 1994. A separate mobile division, called the Mobility Division, was formed in 1995. The German office opened in 1998, the Swiss office in 2000. In 2004, the company started working with Fujitsu-Siemens on its handheld PCs Russian localization. Next year, the company expanded the product line of office and gaming applications for Symbian OS and received the “Developer of the Year” award in the Handango Champion Awards 2005. In 2011, PCMag recognized the company’s flagship solution Paragon Hard Disk Manager as the best hard drive management program. Paragon Software Group also won Global Telecoms Business Innovation Award 2011 for their mobile solution. 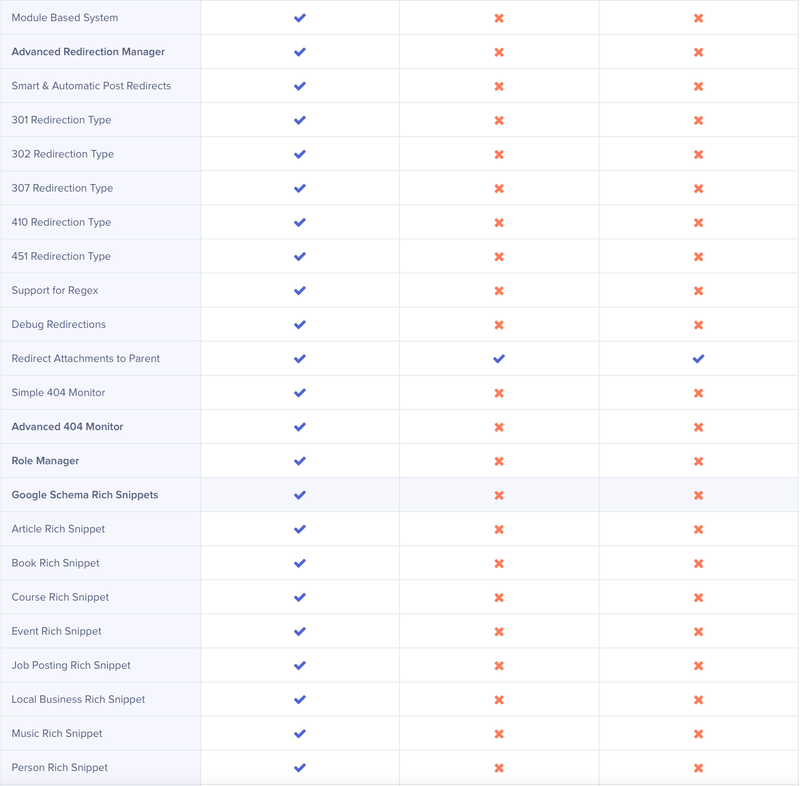 All-round solution to protect, maintain and manage your Mac drives. The macOS built-in Disk Utility is all many users will ever need. Apple’s software handles formatting HFS+, FAT32, and exFAT volumes and partitions. The macOS Disk Utility also supports verification and repair of native OS X disks. However, there still are plenty of reasons for wanting to do more with your drives. A few examples are optimising OS X, partitioning drives, or backing up and restore data faster then Time Machine. Paragon HDM also supports the latest APFS file system but not for backing up (still in process)! Additional features are recovery of accidental deleted partitions and SIP support. Installation of Paragon HDM is not difficult, but additional files need to be installed during the proces. System Preferences need to allow the additional files to install. A small mounter utility is installed during installation needed for full high-speed access to virtual drives. PARAGON VMDK MOUNTER is installed in your Mac’s applications folder. 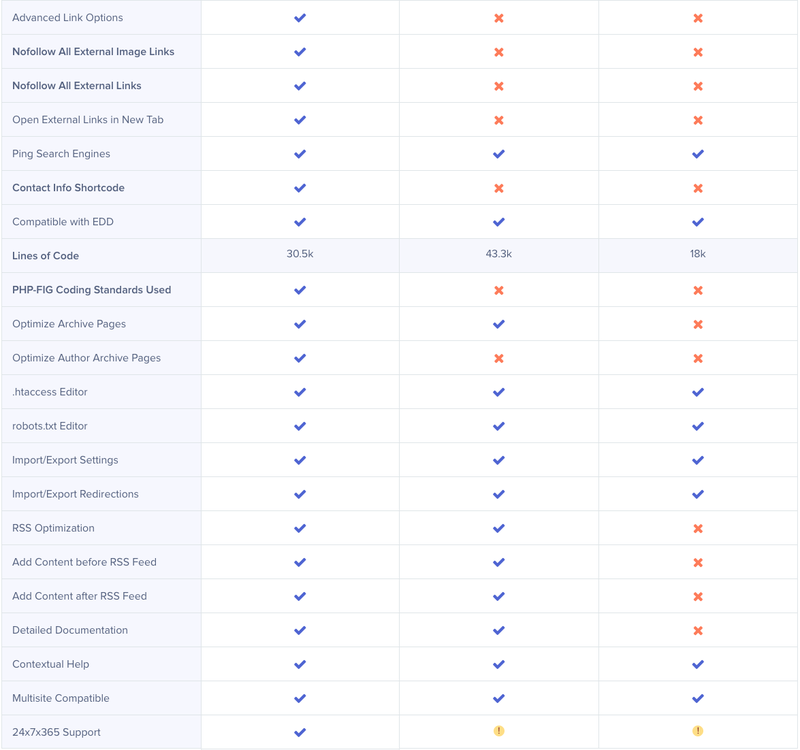 (Caution: SIP should only be disabled by advanced users who know what they’re doing and understand the risks associated with modifying system-level files. Like Disk Utility, Hard Disk Manager’s interface displays a list of all mounted volumes. HDM provides more detailed disk maps, color-coded partitions and logical disks and the file system in use: HFS+, FAT16/32, NTFS, exFAT, ExtFS, and free space. This is a definite better way to show relevant disk information. Hard Disk Manager also displays partition information as a list at the bottom of the window. HDM can perform; format, partition, and work with non-native NTFS or ExFS volumes. You do need Paragon’s replacement drivers installed to access files. HDM works equally well with solid-state storage (SSD), USB flash drives, and Apple’s hybrid Fusion Drives as with traditional platter-based disks. 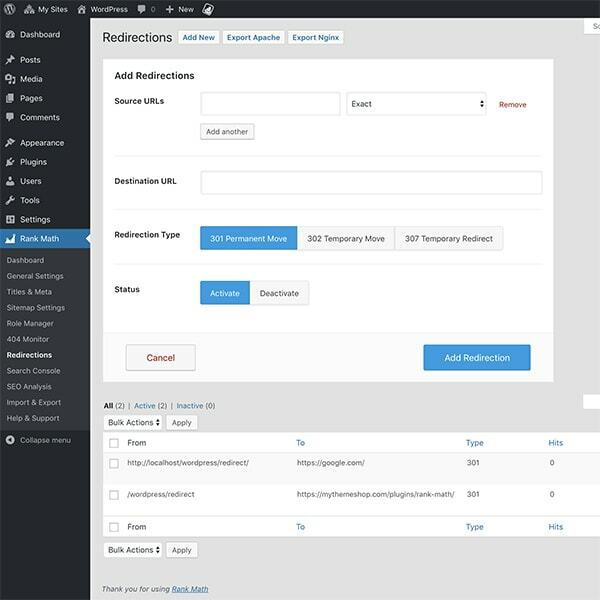 One of Paragon’s Features is Snapshot technology, which allows users to create an exact sector-level copy of the operating system and all disk data. 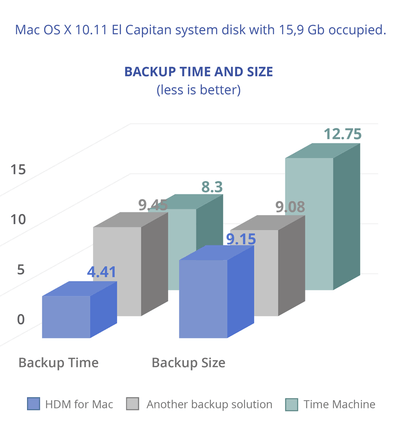 Paragon states an improved performance in time between Time Machine and other Mac-backup solutions. The Snapshot feature, offers improved performance with system recovery times. Hows that for improvement. The Backup and Restore function is simple, as the Create New Archive wizard detects all mounted OS X disks automatically, or you can manually select partitions from the disk map. Every backup needs to be initiated by the user as scheduled backups are not part of the Backup feature. Hard Disk Manager saves archives as Paragon Virtual Hard Drive (PVHD) images by default, which also supports incremental imaging. Incremental Imaging minimises time and storage space required for backups of the same volume(s). Paragon’s Hard Disk Manager is a must for every user who needs to manage their disk in a more professional way than use of the basic macOS Disk Utility. HDM provides faster backup and restore tools than Time Machine ( see image above). The (re)sizing abilities and the recovery option takes it a step further than most applications. 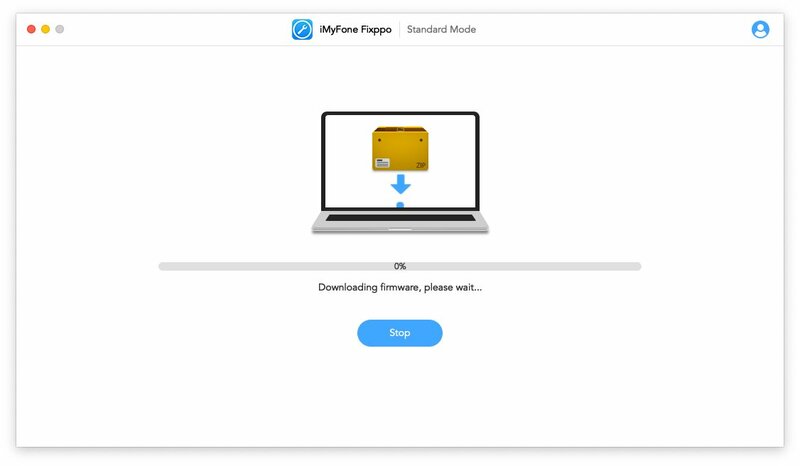 Full Mojave support is not available at this moment (APFS backup functionality). So if you’re already running Mojave you might wait for the update, or if APFS is not your external disks format, buy this good utility saving you time and efford. 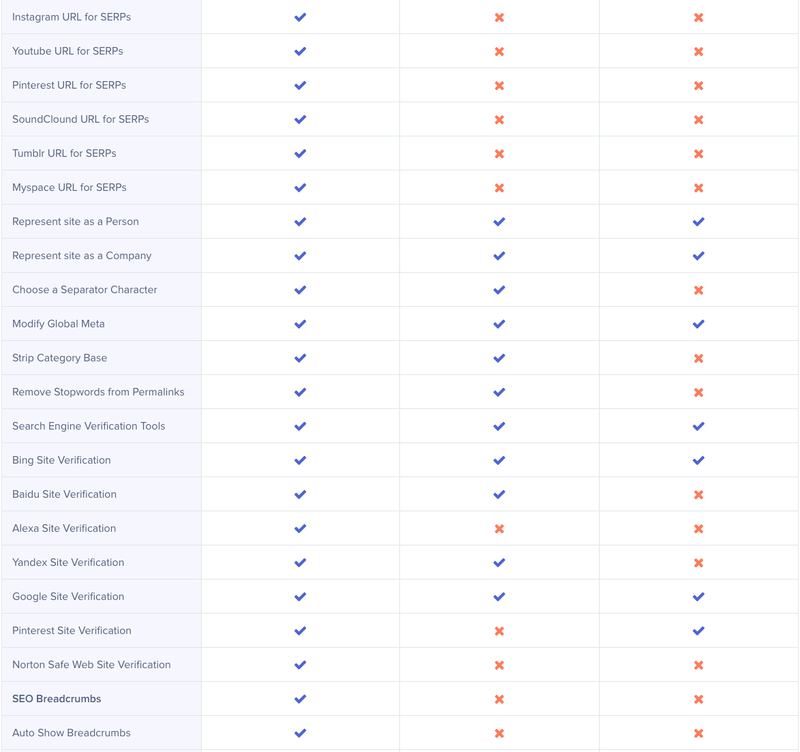 This is the easy part of GihoSoft’s application. 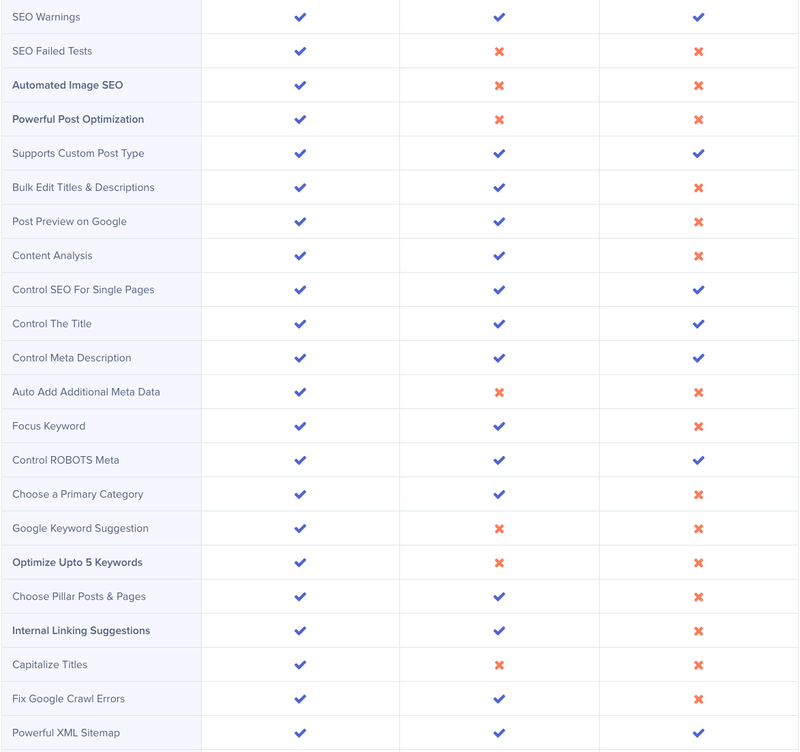 Just drag the icon to your applications map and you’re set and done. There is no preferences needed nor available in this application. So you’re ready to go ! My first remark is you should always have/do a valid Backup of your device with iTunes. Always better be safe then sorry. Just nodding your head agreeing to this is not enough, DO IT ! This also applies to any computer-data you’ve got. BackUp your Mac, your photo’s and documents. Just about anything you can’t do without in times of trouble. I get asked by friends many times ” can you fix my computer problem”, and YES anything can be fixed but sometimes not without loss of data. So save your stuff as memory sticks or external harddrives are cheap nowadays. Appearance of the layout is somewhat mixed feelings. Its not like the modern iMyFone application, but works well. All information is displayed as this is a ‘one trick pony utility’, scanning and presenting the preview of found files and leaves you to hit “NEXT’ and wait for the recovery. The one thing that worries me is the absence of choice in doing a recovery from your iTunes Backup or skip this and go to your iPhone directly and scan for your missing data. Now to software always takes you to your iTunes backup wether is is Old or New. An older backup might not have your desired data available, and without skipping ( well I can’t undo the selection mark ! ) take you to your iPhone straight away. I may be wrong but will ask for tech. info from Gihosoft. Choosing only ‘messages’ from the first selection page takes me straight to my iPhone, but again scanning takes 59 minutes ( only 16Gb used on iPhone ). Why when selecting all it takes me to iTunes backup, and when selecting just messages it goes straight to the iPhone puzzels me. DJMixerSoft is one of the world’s leading providers of DJ software. At DJMixerSoft.com we create technology rich solutions that enable our customers to maximize their professional performance. All DJMixerSoft products have been developed by video/audio software engineers, in collaboration with professional DJs around the world. enter the serial but there is no menu addition for this? As the interface itself is very busy, I noticed very small red typing in the middle of the interface, where I was supposed to enter the serial. Funny place to validate a Mac application, and this should be set somewhere in the menu. Still this is how it is set right now. In the background many new folders are created for storing music creations etc. Wow, its an explosion of information to handle. Well for non dj’s like me then. Though I love music and am familiar to many of the used controls it still is a lot to swallow to be honest. it is LOADED !! Just check the features below to give you an idea of its capabilities. The image can be made active / enlarged, in order to checkout all keys, knobs, controls, sliders etc. Mix your favorate video clips (AVI, MPEG, WMV, MP4…) together with audios to have a professional mixing output. Fully compatible with the latest macOS 10.13.4 High Sierra and Windows 10. Fully compatible with the latest version of iTunes 12.7.4. Now bear in mind that I am not a Dj, and have never worked with anything like this. So I started as a definite knob head using this software and was interested in how quickly one could master an application like this. Well its not easy to be fair. I guess one needs to start with songs that share the same beat or bass rhythm. Then you need to known your songs and their most interesting parts for use. beginners and professionals who earn their money entertaining people with their performance. video playback is a bonus that could just make the difference. move the controls by dragging round having our mouse pressed, as this will not work or be productive with the small controls in the interface. Gives you the ability to mix not only audio tracks, but also video and karaoke, and make song transitions with ease. Video mixing also including reverse, pitch, break, scratch video. DJ Mixer Pro has a cutting-edge mixing engine including support for various audio and video formats, advanced input/output routing, adjustable EQ, timecode vinyl control, gain control, crossfader, KeyLock, and more. Advanced looping features let you sets real-time cues, loop in/out points and change loop length. Seamless beat loop and cue functions let you easily remix tracks on the fly. The Waveform Displays show each track’s frequency band in real-time; displaying each beat & break in advance. and visually align the beats of the tracks with vertical waveforms. Always stay in perfect beat with one-click tempo and beat-matching technology. Load your audio, video or Karaoke tracks, and the DJ Software will change the tempo of your track for pin-point synchronization. For musically perfect mixes the key can be changed or locked to achieve not only beat-matched but also key-matched mixes. It even detects the key of an audio/video to considerably simplify harmonic mixing. Seamlessly integrates with your iTunes library and makes it easy for you to mix your favorite music from iTunes. Your iTunes library and playlists are right there on the DJ Mixer Pro interface. There are many built-in audio effects and filters can be applied to change the sound of the track, and offers support for third party VST plug-ins (effects), AudioUnits, EQs and filters for each deck, microphone or master signal. 8 individual samplers for looping or jingles where you can load files with beats or jingles, or you can send a loop from any deck to any of the sampler’s 8 banks. The loops will also be in-sync with the other decks. Support preview the video when you are mixing videos, and display your video mixes to an external monitor, TV or projector. This DJ software has the ability to quickly display or hide your audience video screen with one click. Gives you comprehensive hardware control for your DJ mixes. 90+ MIDI controllers supported with Zero configuration. Create your own custom mapping or use one of the many presets for your specific controller. Sort your video/music the way you want. Powered by a high-performance database, useful realtime song search, Audio/Video/Karaoke filter, Color marker, accessing and organizing your music is easy and intuitive. NextMix, AutoMix and all BPM settings needed. Once you’ve mastered this application your life will be a continuous Loop. So check out the demo, and see if you’re up for it ! Mac OS X 10.8 or above system. Fully support macOS High Sierra 10.13 Apple iTunes 10 or later. To output the highest audio quality, the program now only supports converting M4P at 1X speed under macOS 10.13 High Sierra. 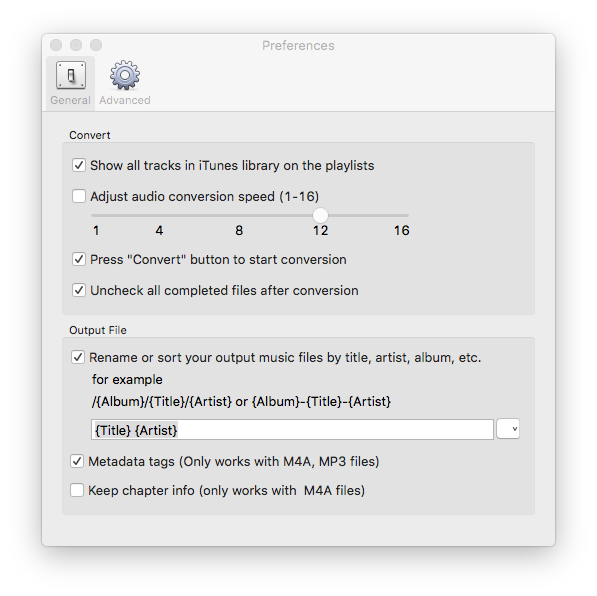 M4P to MP3 is able to do 16 speed conversions on lower Mac OS systems. Read on to see why and how to change the High Sierra 10.13 System Integrity Protection (SIP). Want to remove DRM from iTunes M4P, M4B, M4A, M4V, protected AAC, Audible AA and AAX files? Well, look no further as this utility will be your best friend from now on. 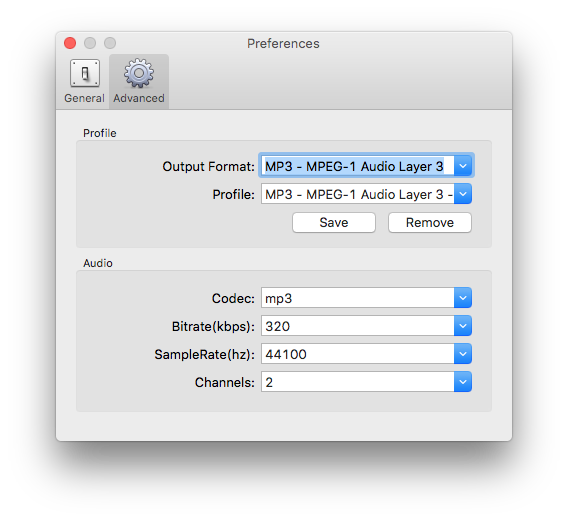 MP4 to MP3 Converter is your ‘one trick pony’, to safely convert your iTunes codecs into a desired codec. Initially iTunes have NO DRM codec, but when you download an Apple Music track for offline listening, you get a DRM-protected version. This is where converters come to use. Digital Rights Management (DRM) systems provide you with the ability to control how people can consume your content. Usually content owners and producers, like all the major Hollywood Studios and TV Stations, force content distributors to use specific DRM systems to protect each piece of content. Depending on the copyright requirements, Hollywood grade DRM protection is not always needed and sometimes it’s enough to provide basic protection through token based secure authentication or simple AES encryption of the video without sophisticated license exchange and policy management. Apple’s iTunes uses this protection in a similar way. You might be in for a little surprise as M4P toMP3 Converter is I think the only converter-program needing a separate/additional tool to do the job. The program uses and installs ‘Audiojingle’ a virtual audio driver. The program needs this driver to record iTunes audio tracks in the background. So what? You may think. Well, it installs itself in your Audio Preferences, and you need to be aware of this! As it is impossible to ‘delete’ or ‘uninstall’ this virtual driver with all known Uninstaller’s. Delete that folder and file along with it and reboot (as well as the app itself; I suggest using CleanMyMac or AppDelete) your Mac. Only now you will be able to loose the Audiojingle driver. Of course you only need to perform these steps if you ever decide to change the converter for something else. To output the highest audio quality, the program now only supports converting M4P at 1X speed under macOS 10.13 High Sierra. This is as stated earlier due to the used Mac OS system SIP. So, we’ve covered the technical side of M4P to MP3 Converter and now move on to the use and performance of this utility. 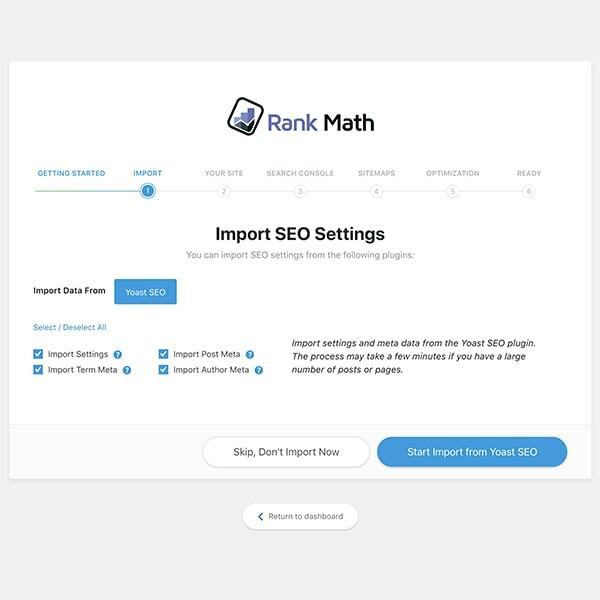 The presented interface is easy and provides all necessary information for the user. One small critic from me as reviewer are the outdated icons used on the top bar. The visual aspect is just something I focus on, next to allround performance. Its a bit Windows like and being not a big fan of Windows, I truly love the mostly modern looks of Mac apps. The interface does however provide all information one might need and even more. 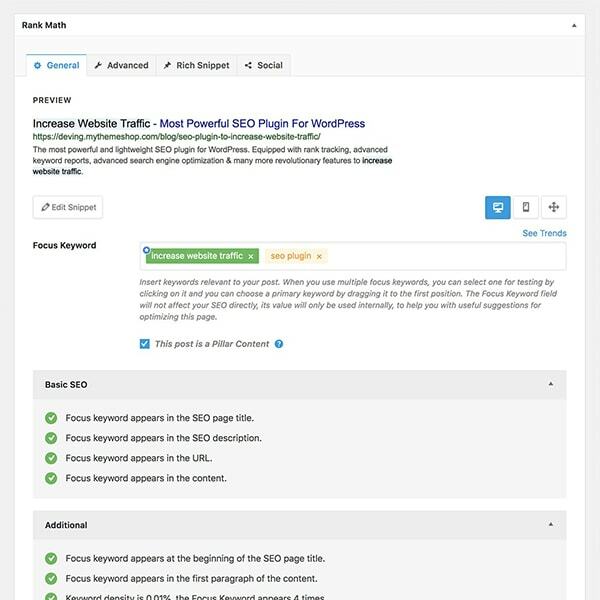 The status column shows realtime converting status. The overall Output settings and folder are nicely presented. All in all I absolutely loved working with M4P to MP3 Converter. Alongside I tried programs like Sidify Apple Music and the latter seems to have some difficulties converting some tracks whereas M4P to MP3 never missed a track !! Converting time was overall the same compared to 2 other utilities, so no dealbreaker here. The converting SPEED from the Preferences mentions 1 to 16, but the latest HighSierra versions will not allow for higher speeds than 1. As you know that when System Integrity Protection is active, and MacOS 10.13 has introduced new security measures, M4P to MP3 Converter can only convert audio files with 1X conversion speed on Mac 10.13.x. In order to convert in 16x speed, MacOS 10.13.x users need to turn SIP off. You can follow the next guide to know how to turn SIP off. Please note that, your machine may be less secure if you do. It is entirely your decision. METHOD to turn SIP off !! Step 1: Shut down the Mac. Step 2: Turn it on but hold down the “Command + R” keys on the keyboard as soon as you hear the startup chime. You can leave the keys when you see Apple logo. The system will boot into Recovery Mode. 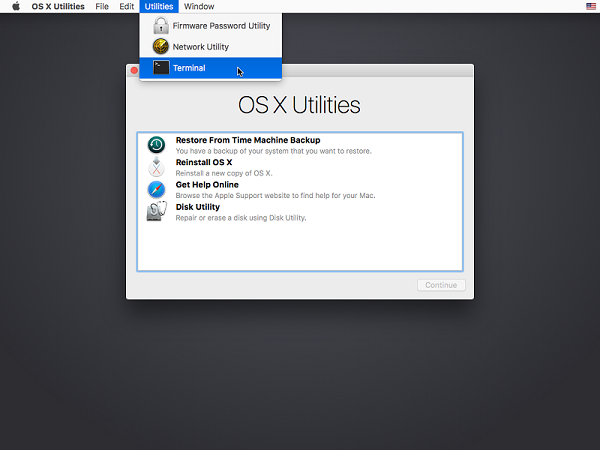 Step 3: When the macOS Utilities menu appears, left-click the “Utilities” and then click the “Terminal”. Step 4: In the window that opens, type “csrutil enable –without kext” and press return. This turns off the part of SIP that iTunes Converter needs to run, and OS X complains that it is an unsupported configuration. So time for a final verdict. Did we enjoy working with M4P to MP3 ? Well, there is no question about its performance and lack of converting problems. It never missed a single song-conversion, where the competition is not as perfect. The maximum conversion speed of 1x under the latest MacOs High Sierra 10.13+ is something all conversion programs have to deal with as Apple has a strict SIP program. You may if needed follow our instructions for change in SIP. We feel it’s no big deal and better be safe then sorry. 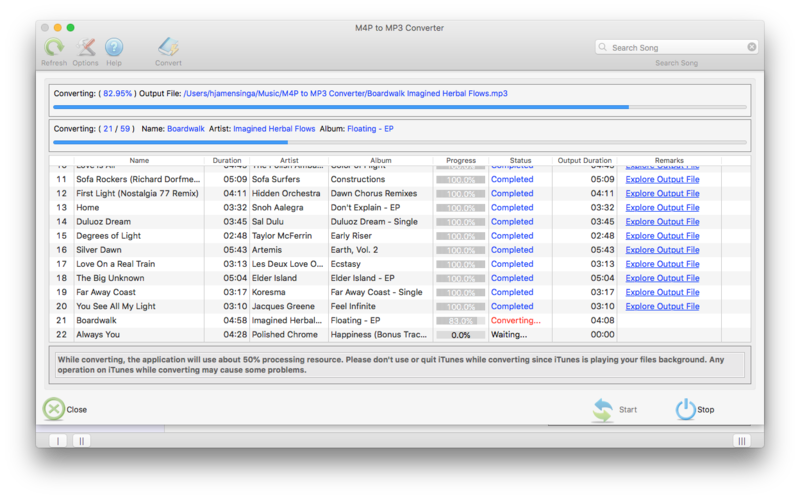 M4P to MP3 converter delivers high end conversions with all information needed when doing its job. Its versatile in supporting most used codecs, options and informative interface. 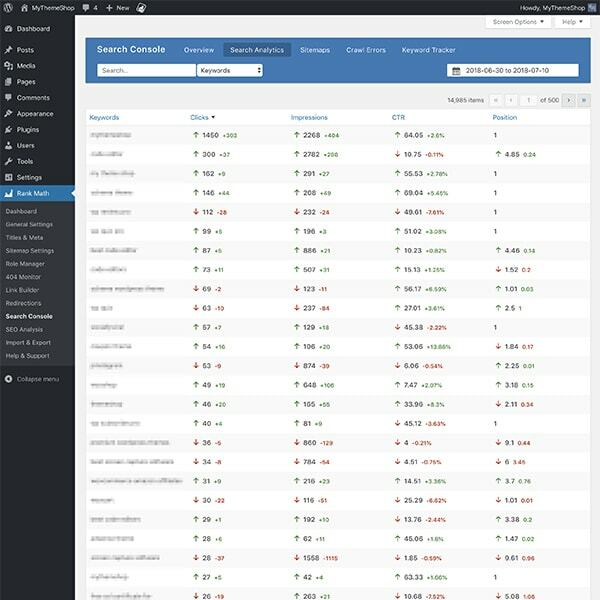 Any cons found in this utility? Not really, only change the used ‘Windows like’ icons in the main-bar and you’ve got one of the best converters and I tried them all, so if you’re in for a converter don’t miss out on M4P to MP3 Converter.